Masonry Repair and Wall Ties - More Summer Savings! Along with the special offers on damp proofing products featured in our last article, we also have discounted prices on two of the most popular items from our comprehensive masonry crack repair and wall ties selection. All offers are available until the 31st August 2014 so order soon and save up to 37% on these quality items! 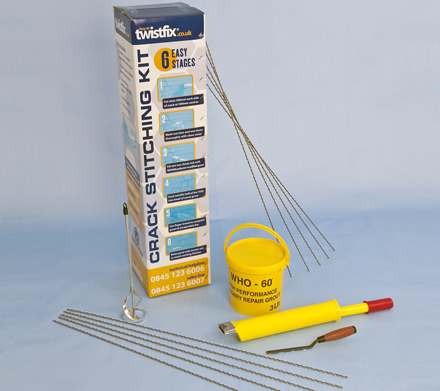 Consistently one of our most popular products, the Twistfix Masonry Crack Repair Kit is used regularly by professional contractors involved with masonry reinforcement and repair projects. The complete kit, which contains all materials necessary for the effective and lasting repair of cracks to stone, block and brick walls, allows for tensile forces to be redistributed equally across the included crack stitching bars, stabilising and adding strength to damaged walls. 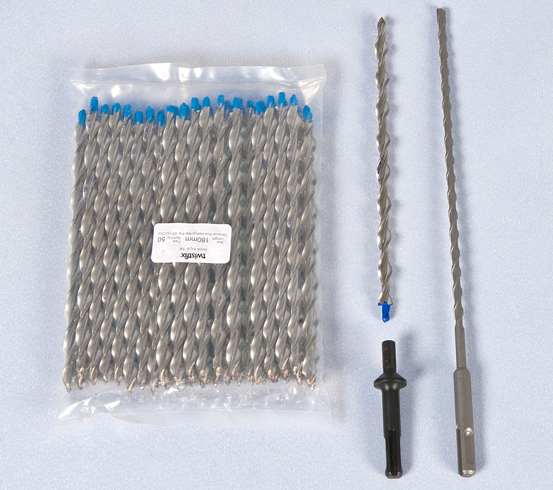 Along with 10 x 1m grade-304 stainless steel helical stitching bars in a choice of widths for different strength requirements, the kit contains specialist WHO-60 masonry grout with GroutMaster applicator featuring an innovative Hi-Flo nozzle to facilitate rapid yet accurate usage. A mixer paddle and brick jointer/ finger trowel are also included to complete this essential kit. 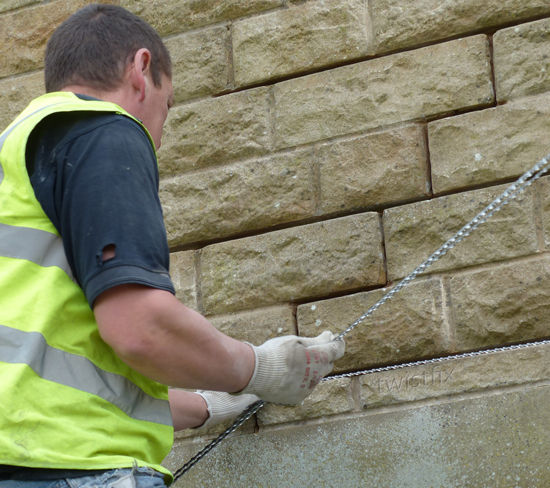 Designed for remedial work in any type of masonry and given the European CE Mark of Approval, our stainless steel wall ties are work-hardened and can also be used for the replacement of existing wall ties and for the dry pin fixing of soldier course lintels. 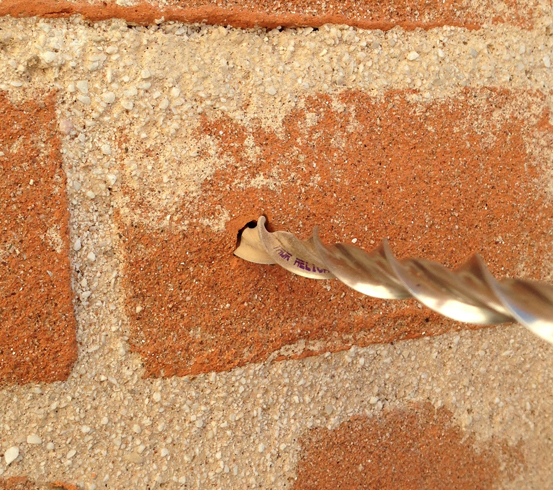 Installation begins with the drilling of slightly-undersized pilot holes which then have the wall ties hammered into them, delivering a consistently reliable undercut fixing. Our Wall Ties 20m Kit, which is the fastest, easiest and most cost-productive cavity wall tie replacement solution available on today’s market, contains sufficient wall ties to cover around 20 square metres of wall at standard tie spacing. Included with 50 of our quality, width-specific wall ties within the kit is an essential setting tool and a powerful, durable tungsten carbide drill bit. Need information advice or support on the Twistfix range of damp proofing, basement water­pro­ofing, masonry repair and insulation products? Call our team on 0845 123 6006 or email sales@twistfix.co.uk and we will be pleased to assist.